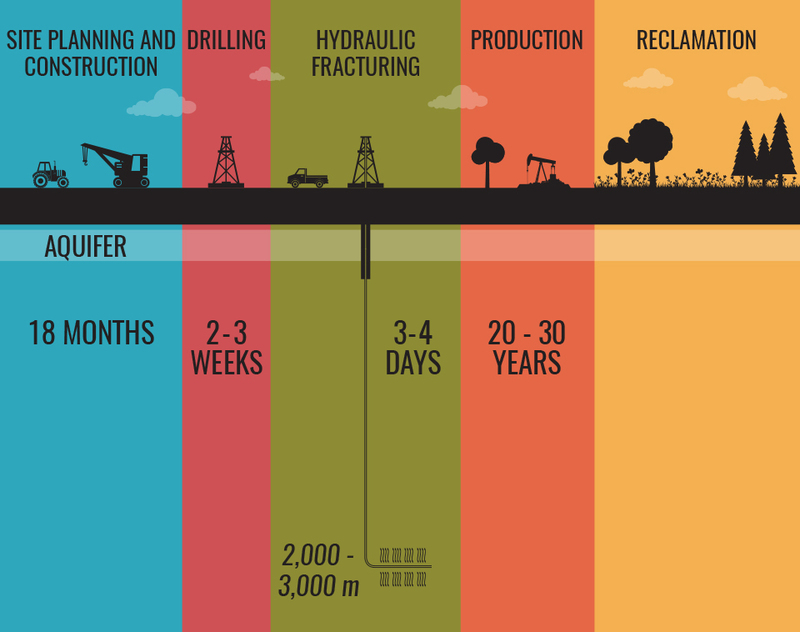 Fracking takes only 3 to 4 days of an oil or gas well’s 20 to 30 year lifecycle. Each phase of an oil and gas well’s lifecycle is governed by legislation, regulations and/or guidelines. Permits and approvals must be obtained prior to the initiation of activities that disturb the land surface. While hydraulic fracturing, or fracking, is a very short phase of an oil or gas well’s 20 to 30 year lifecycle, the process is labour and equipment intensive. The oil and gas companies that own the well and the frac companies that conduct fracking take the utmost care to minimize the potential hazards and nuisances to the landowner and nearby communities. Producer companies and frac companies have established guiding principles and codes of conduct to guide company behavior while fracking. The industry is continually seeking opportunities to establish and maintain communication with all those affected by their activity. In Alberta, Synergy Groups have been established to facilitate constructive dialogue between community members, landowners, business owners, the oil and gas industry and regulators to find solutions for local issues.